Researchers demonstrated the mussel-inspired reinforcement of graphene fibers for the improvement of different material properties. A research group under Professor Sang Ouk Kim applied polydopamine as an effective infiltrate binder to achieve high mechanical and electrical properties for graphene-based liquid crystalline fibers. This bio-inspired defect engineering is clearly distinguishable from previous attempts with insulating binders and proposes great potential for versatile applications of flexible and wearable devices as well as low-cost structural materials. The two-step defect engineering addresses the intrinsic limitation of graphene fibers arising from the folding and wrinkling of graphene layers during the fiber-spinning process. Bio-inspired graphene-based fiber holds great promise for a wide range of applications, including flexible electronics, multifunctional textiles, and wearable sensors. In 2009, the research group discovered graphene oxide liquid crystals in aqueous media while introducing an effective purification process to remove ionic impurities. Graphene fibers, typically wet-spun from aqueous graphene oxide liquid crystal dispersion, are expected to demonstrate superior thermal and electrical conductivities as well as outstanding mechanical performance. Nonetheless, owing to the inherent formation of defects and voids caused by bending and wrinkling the graphene oxide layer within graphene fibers, their mechanical strength and electrical/thermal conductivities are still far below the desired ideal values. Accordingly, finding an efficient method for constructing the densely packed graphene fibers with strong interlayer interaction is a principal challenge. Professor Kim's team focused on the adhesion properties of dopamine, a polymer developed with the inspiration of the natural mussel, to solve the problem. This functional polymer, which is studied in various fields, can increase the adhesion between the graphene layers and prevent structural defects. 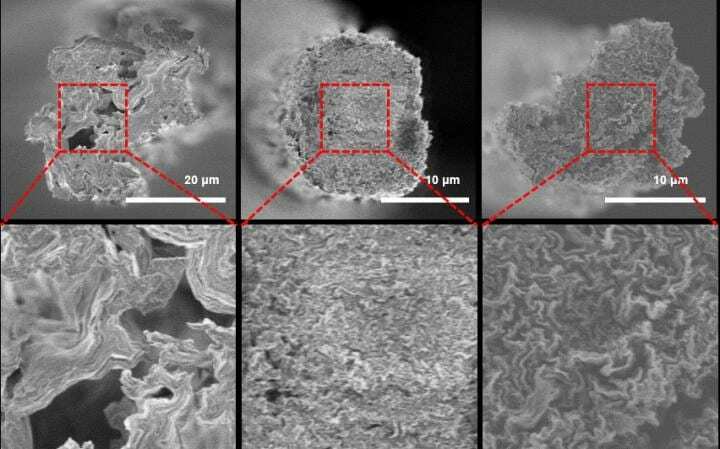 Professor Kim's research group succeeded in fabricating high-strength graphene liquid crystalline fibers with controlled structural defects. They also fabricated fibers with improved electrical conductivity through the post-carbonization process of polydopamine. Based on the theory that dopamine with subsequent high temperature annealing has a similar structure with that of graphene, the team optimized dopamine polymerization conditions and solved the inherent defect control problems of existing graphene fibers. They also confirmed that the physical properties of dopamine are improved in terms of electrical conductivity due to the influence of nitrogen in dopamine molecules, without damaging the conductivity, which is the fundamental limit of conventional polymers. Professor Kim, who led the research, said, "Despite its technological potential, carbon fiber using graphene liquid crystals still has limits in terms of its structural limitations." This technology will be applied to composite fiber fabrication and various wearable textile-based application devices." This work, in which Dr. In-Ho Kim participated as first author was selected as a front cover paper of Advanced Materials on October 4. This research was supported by the National Creative Research Initiative (CRI) Center for Multi-Dimensional Directed Nanoscale Assembly and the Nanomaterial Technology Development Program through the National Research Foundation of Korea funded by the Ministry of Science and ICT.